Birds Eye brand-owner Iglo has appointed Luca Miggiano as group chief marketing officer, a role it discarded a year ago when predecessor Andreas Welsch was promoted to head up Iglo's Benelux region. Miggiano, who joins Iglo later this year, is currently Mondelez’s vice-president of chocolate for the UK, Ireland and Nordics. His appointment has been made by Iglo chief executive Elio Leoni Sceti, who joined last May and who recently said his aim was to double group sales from €1.6bn (£1.3bn) to €3.2bn (£2.6bn) in 2020. 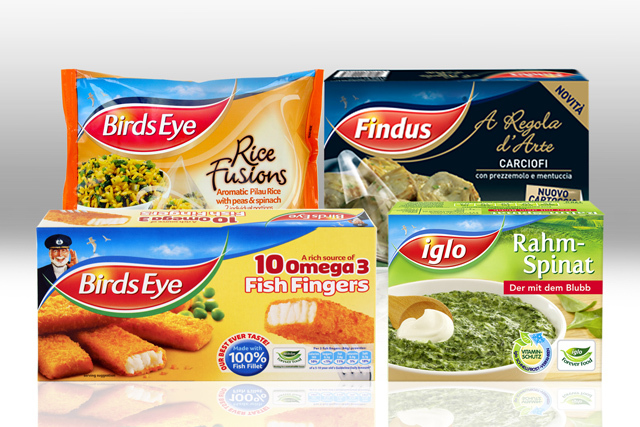 The frozen foods group has also made two senior digital appointments. Francis Nicholas has been named head of digital sales. He joins from Procter & Gamble, where he was EMEA ecommerce business development leader. The group has also appointed Jerry Daykin as head of digital marketing. He will join from Mondelez, where he is EU social media marketing manager. Leoni Sceti said: "These appointments are a key part of delivering the new strategy and digital sales and marketing are at the heart of this. "Many of our consumers now go online not just to shop, but also for recipe ideas and inspiration as to what they eat. As a result, it is essential that Iglo Group increases its focus on online platforms and messaging." This time last year, it was reported that Birds Eye chief executive and former PepsiCo marketer Martin Glenn was poised to leave the company after six years at the helm.